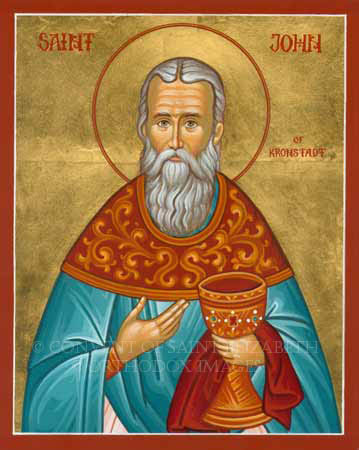 St. John of Kronstadt: You are angry with your neighbor, you despise him, do not like to speak peaceably . . .
You are angry with your neighbor, you despise him, do not like to speak peaceably and lovingly to him, because there is something harsh, abrupt, careless, unpleasant to you in his character, in his speech, in his manners—because he is more conscious of his dignity than perhaps is necessary; or because he may be somewhat proud and disrespectful; but you yourself, your neighbor’s physician and teacher, are more guilty than him. “Physician, heal thyself.” Teacher, teach yourself. Your own malice is the bitterest of all evils. Is it then possible to correct malice by means of evil? Having a beam in your own eye, can you pull out the mote from the eye of another? Evil and faults are corrected by good, by love, kindness, meekness, humility, and patience. 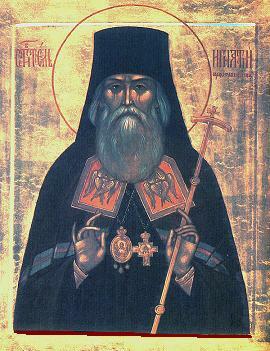 This entry was posted in Sayings from Saints, Elders, and Fathers, St. John of Kronstadt and tagged Anger, Character, Evil, Evil for Evil, Guilt, Humility, Kindness, Love, Loving Neighbor, Meekness, Neighbor, Patience, Peace, Physician, Pride, Scripture Gospel of Luke, Scripture Gospel of Matthew, Sin, Speech, Virtue on May 30, 2014 by . 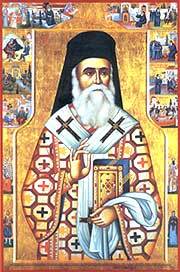 St. Peter of Damaskos: If we are not willing to sacrifice this temporal life, or perhaps even the life to come, for the sake of our neighbor . . . 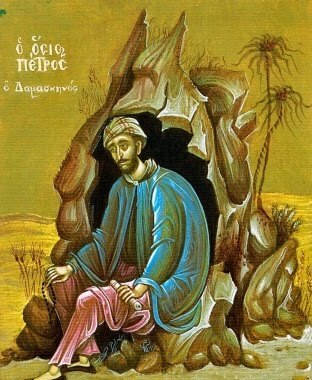 This entry was posted in Sayings from Saints, Elders, and Fathers, St. Peter of Damascus and tagged Apostle Paul, Death, Enemies, Eternal Life, Exodus from Egypt, Forgiveness, Forgiveness of God, Forgiveness of Others, Jews, Love, Love of God, Loving Enemies, Loving Neighbor, Material World, Moses, Neighbor, Old Testament, Old Testament Events, Old Testament People, Quotes from the Philokalia, Sacrifice, Scripture Book of Deuteronomy, Scripture Book of Exodus, Scripture Epistle to Romans, St. Basil the Great, Ten Commandments on February 28, 2014 by ocqadmin.